The Classic is New Orleans’ (and the region’s) premier 10k road race, and one of the oldest 10k races in the nation. For40 years, it has combined world class competition, amateur participation and great fun for all participants. Starting in 1979 with 902 participants, the Allstate Sugar Bowl Crescent City Classic has grown to become the preeminent fitness event in Louisiana. This Easter Weekend Tradition is now, along with Mardi Gras and Jazz Fest, one of New Orleans signature events. Each year, over 20,000 people gather in Downtown New Orleans for an event that attracts everyone from international Elite Athletes to those who walk the entire route carrying cocktails or wearing bunny suits. 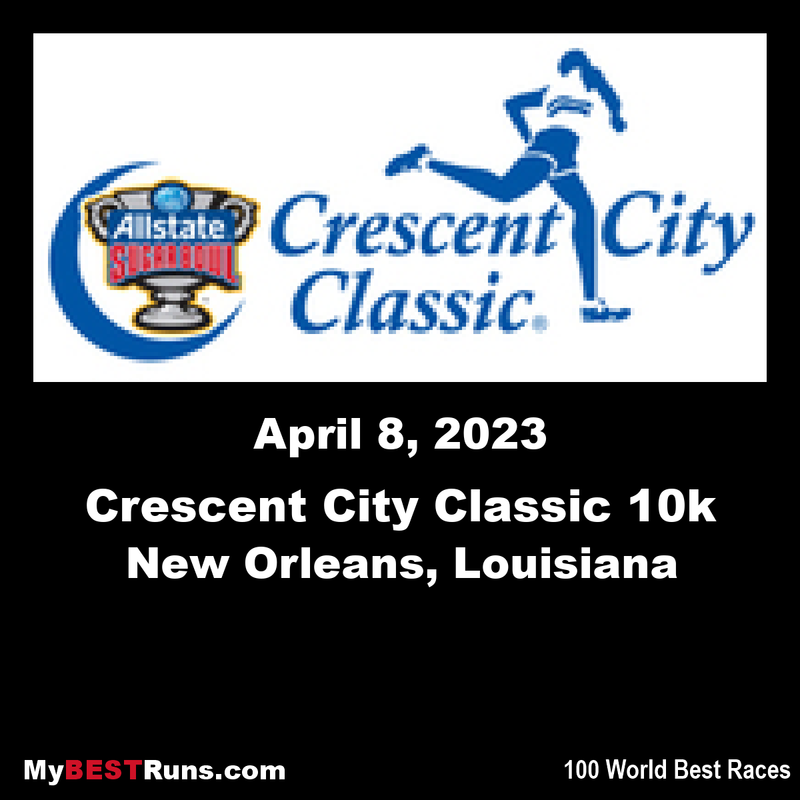 Young, old, fit and not so, the Crescent City Classic was the first 10k to be televised nationally, and is, to this day, perhaps the most fun you can have over 6.2 miles. The Classic has been praised in every major running publication as “one of America’s fastest 10k’s”, “the originator of the party race”, “an Easter Weekend tradition that should never be missed” and “a great race, on a beautiful course in America’s most unique city”.